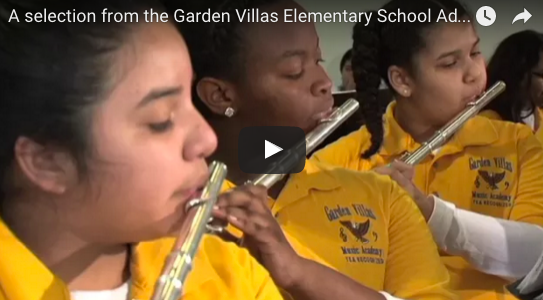 HISD students from the Garden Villas Elementary School Band performed at the Hattie Mae White Educational Support Center. 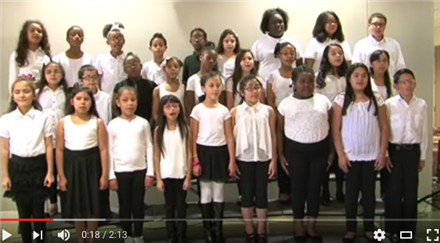 HISD students from the Garden Villas Elementary School Choir perform at the Hattie Mae White Educational Support Center. 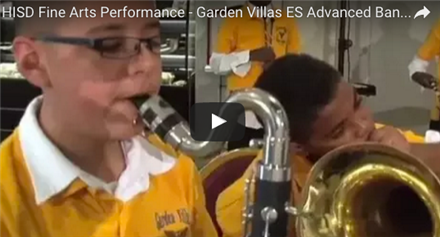 HISD students from the Garden Villas Elementary Advanced Band performed at the Hattie Mae White Educational Support Center. 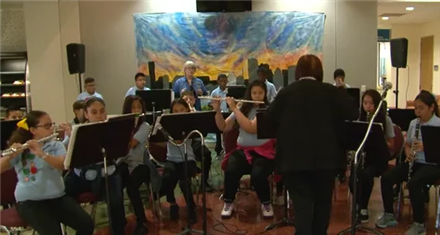 HISD students from the Garden Villas Elementary School Advanced Band perform at the Hattie Mae White Educational Support Center. 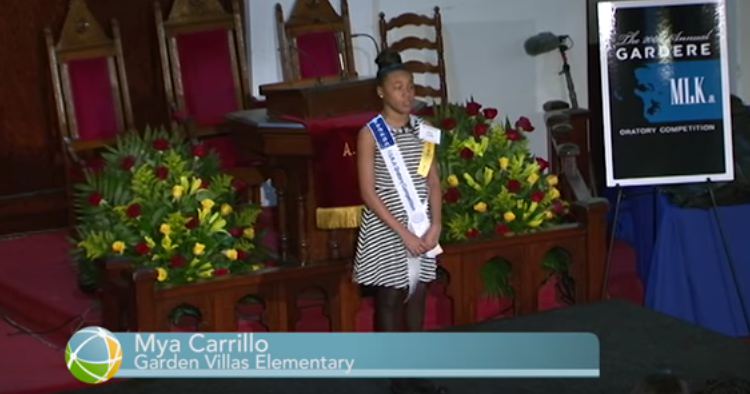 Garden Villas Elementary student Mya Carrillo competes in the 2016 MLK Oratory Competition.